Wizard has your Office Carpet Cleaning, Tile and Grout, and Commercial Floor Cleaning needs covered. As Melbourne’s fastest growing floor cleaners we have built a premium reputation. Wizard is the most trusted name throughout Melbourne and for good reason. 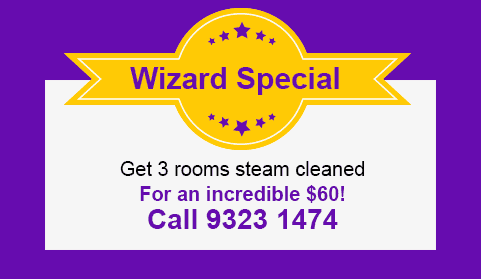 Why choose Wizard for your Carpet Steam Cleaning Office and Commercial needs? Our services will impress you, impress your clients that walk in to your office & most importantly you will be looking after you employees health. From carpet and floor cleaning to tile and grout cleaning, Wizard will work their magic. By having Wizard professionally steam clean the carpets of your business not only prolongs the life of your carpet but will improve your indoor air quality. We will not only rid carpet surface dirt, but also free your carpet of hidden soil, fungi and dust mites, reducing the risk of coming in contact with harmful allergens. Here at Wizard Tile and Grout, there is no job too big or too small, we will have your school, office building, showrooms, aged care facility, airport lounge, shopping complex the list goes on looking brand new! Upon arrival to your business, our carpet cleaning specialists will assess your carpet and determine their carpet cleaning approach, providing a no obligation quote on the spot. To target specific and heavy stains will apply one of our specialised products before steam cleaning your carpets for a deeper clean. All our carpet cleaning services come with a FREE sanitise and deodorise, ensuring a hygienic finish with a long lasting fresh smell. Whether you own or run a large or small business having your floors looking clean and fresh improves the appearance of your investment making it more inviting for your customers.